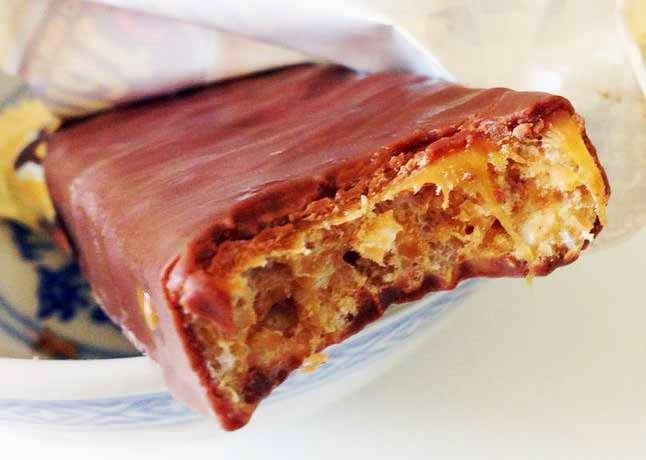 Whatchamacallit is a chocolate bar from Hershey's, containing peanut flavoured crisps and caramel covered in milk chocolate. Generally I'm not a fan of chocolates containing peanuts because I think the taste gets too heavy, but Whatchamacallit was actually quite good. The peanut flavour is not overwhelming and it stays in the background letting the taste of crisp and caramel come through. Being a chocolate peanut bar it was particularly light in texture and not heavy like Snickers or Reese's. Also the peanuts moderate the sweetness of the caramel and chocolate, which is needed. Overall a pleasant surprise especially since I'm overly fond of peanuts.